While it is a common assumption that most HVAC systems should expect to last the same amount of time, unfortunately, this is not the case. Many factors come into play when predicting the life expectancy of a system, including (1) the reputation of the manufacturer of the unit, (2) the quality of the installation, and (3) how well the system has been taken care of over the years. In order to make the most out of your investment, give your HVAC system a little attention with these tips to extending the lifespan of your air conditioning unit. You should check and replace your furnace filter monthly to maximize efficiency, save energy and keep the air fresh. The most important thing you can do to keep an HVAC system healthy is to have seasonal maintainence done. 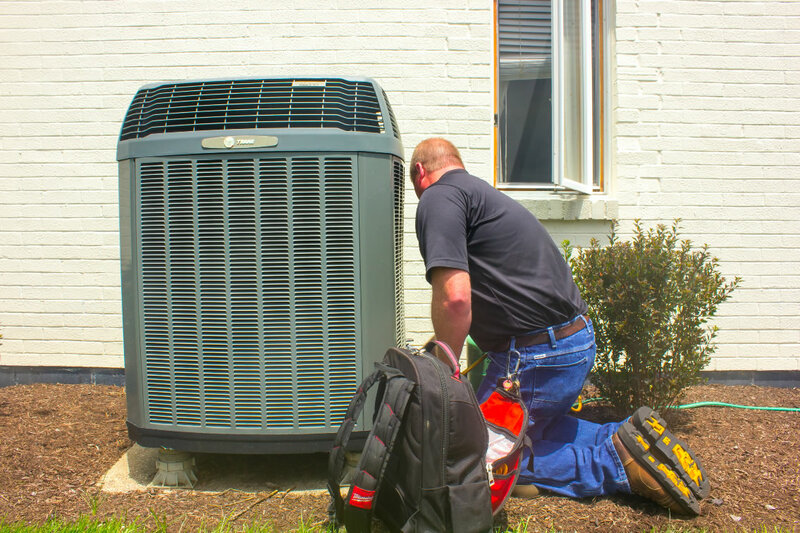 Many of the components that your air conditioner uses is also used during heating season, so having an A/C tune-up performed later in the summer will still be beneficial to your whole system. Program the temperature of your home to ease your cooling system’s workload during the times of day that nobody is home. This lessens the amount of time that your A/C is operating during each cooling season, increasing your system’s life expectancy. Clear away furniture, curtains and other obstructions away from your air vents and registers. Clean off accumulated dust and debris. Anything that blocks the airflow in your home will put strain on your HVAC system. Leaky ductwork accounts for up to 40% of lost conditioned air, which your air conditioner has to replace. Consider insulating ducts that run through unconditioned spaces. Experiencing a breakdown or performance issue? If you can ensure that (1) your furnace filter is clean, (2) your circuit breakers are in the 'on' position, and (3) your thermostat batteries are properly working, and your air conditioner is still not running correctly, make the call for help! A system that is operating with a malfunction for an extended period of time is likely to experience additional strain and decrease the overall health of the air conditioner AND furnace. Having trouble with your aging air conditioner despite your efforts to maintain it?